Lieutenant General Kamal Davar (retd). Pakistan has a total of 15 nuclear sites, of which only three -- Karachi, Chashma and PINSTECH --are under IAEA safeguards. Others are under the control of the army and remain unsafeguarded. Additional plutonium enrichment plants are coming up at PINSTECH. Reportedly, Pakistan produces HEU at a rate of 100 kg per year. Its HEU-based warheads require between 15 and 20 kg of HEU each. Pakistan is also producing plutonium for plutonium-based warheads to which they are changing over from HEU. It is reported to have the fastest growing nuclear arsenal in the world with estimates of 120 to 140 warheads in its possession. 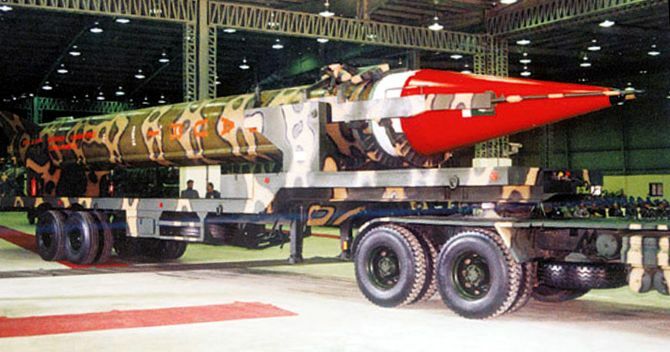 The development of Pakistan's nuclear delivery systems has been assisted mainly by China and North Korea, while some systems are indigenously produced. Pakistan's delivery vehicles include modified F-16A/B aircraft and a few Mirage V and Chinese-built A-5 Fantans, under the control of the Pakistan air force and a variety of surface-to-surface missile systems under the control of the army. The F-16s are likely based at the Sargodha air base, located 160 km northwest of Lahore. US President Donald J. Trump’s Nuclear Posture Review (NPR) calls for enhanced deterrence and a larger nuclear arsenal. The administration released the new review on February 2. Outlined in the strategy is Trump’s decision to pursue a path toward augmenting nuclear capabilities against the backdrop of increasing tensions with North Korea—as it moves ever closer to its own nuclear weapons—as well as nuclear-armed adversaries such as Russia. He has advocated for increasing the number of low-yield nuclear weapons to bolster US deterrent capabilities. "While the Nuclear Posture Review may contain no radical departures from the Obama administration's nuclear policy, the public debate is already focusing on the low-yield nuclear weapons. The European public will see this as another dangerous Trump policy at an already tense time in the transatlantic relationship." By 2016 the situation in Afghanistan had reached a point best described as a stalemate. The Taliban insurgents had been able to launch multiple concurrent offensives intended to seize four provincial capitals. The Afghan National Defense and Security Forces (ANDSF) were successful in defeating these operations, but in doing so demonstrated that they were still very dependent not only on U.S. enabler support such as fires and intelligence, but also support to man, train, equip, sustain, and regenerate units. Additionally, the efforts to defeat the Taliban offenses disrupted ANDSF plans to not only further secure territory already under GIRoA control, but also to expand this territory. ii Neither side possessed the strength to defeat the other. By the fall of 2017 GIRoA only controlled territory containing less than 60% of the population which was down from over the 70% they held in 2016, and down from the 80% they held in 2014 when the lead for security operations transitioned from NATO to GIRoA. The remaining 40% was either controlled by the Taliban or was considered “contested.” iii The ANDSF were incapable of recapturing the contested portions of the country, or those portions under Taliban control without increased levels of U.S. support. Pakistan's long-festering water crisis is threatening to upend its politics. When it comes to Pakistan, President Trump’s Twitter feud with one of America’s most important partners in the fight against terrorism has dominated the news. But beneath the headlines, a massive water crisis is unfolding that has profound implications for the country’s stability and security. Rapid urbanization and conflict combined with corruption, crime and years of mismanagement have left a massive proportion of the population without access to clean water. And now, this long-festering crisis threatens to upend Pakistan’s politics. Perhaps the strangest thing about Pakistan’s water crisis is that until recently, the country had been doing well in connecting more of its citizens to water supply and sanitation networks. From 1990 to 2015, the percentage of the country’s population with access to clean water increased from 86 percent to 91 percent. But in a reversal of what happens in most countries, almost all of this improvement occurred in rural areas—the percentage of urban residents with access to clean water actually declined from 97 to 94 percent over the same period. Only a few other countries, most of them war-torn places like Syria and Gaza, have experienced similar reversals in providing clean water to cities. And while the causes of Pakistan’s water crisis are complex, the country’s political instability has played a key part. Pakistan is urbanizing at a rapid rate of over 3 percent annually—the highest rate in South Asia. The causes of this fast-moving urbanization are deeply troubling, with climate change and the fight against Muslim extremists acting as key drivers. Given this ever-quickening tide, Pakistan’s cities have had trouble providing basic services, including housing and water, to new urban residents. As India’s space program surges ahead, Pakistan’s remains an afterthought. India’s space program is thriving as one of the fastest-growing in the world. With a successful Mars missionand various satellite launches in recent years, India is emerging as a new space power. 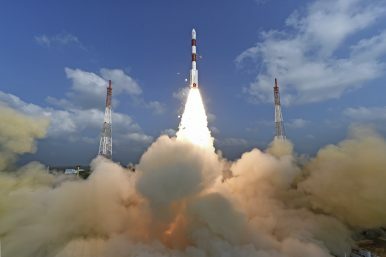 The Indian Space Research Organization (ISRO) is now a go-to for countries like Germany, South Korea, Japan, and France seeking to launch and deploy their satellites into space. Even companies like Google use ISRO rockets to launch their satellites. This will help India economically, giving it a foot in the door in a rapidly growing industry (Morgan Stanley projects that the space industry will go from being worth around $350 billion today to over $11 trillion by the 2040s). In June 2016, ISRO successfully launched 20 satellites in a single payload; in February 2017, it launched 104 satellites on a single rocket and thus set a world record. ISRO launched its heaviest rocket, Geosynchronous Satellite Launch Vehicle-Mark III (GSLV-Mk III), on June 5, 2017 and placed a communications satellite GSAT-19 in orbit. With this launch, ISRO became capable of launching massive, four-ton satellites.Enjoying this article? Click here to subscribe for full access. Just $5 a month. Meanwhile, India launched a Mars orbiter mission in November 2013, and in September 2014, that space probe began successfully orbiting Mars. India’s new prominence in space has its consequences, especially for Pakistan. India’s rise as a space power will come at the cost of Pakistan’s interests. Outside of Pakistan, Khan has largely been forgotten, despite the fact that his fingerprints are all over the world’s most volatile nuclear hot spots. Indeed, three of the United States’ most significant national security challenges—Iran, North Korea, and Pakistan—are largely the results of Khan’s handiwork. The National Interest has recently hosted a debate on whether China wants a confrontation in the South China Sea. In this piece, I show China wants more than just to provoke a confrontation in that contested body of water. It wants to “pull the trigger.” Beijing, we should recognize, will almost certainly use force if it gets the opportunity. That’s more than just a prediction. It is an extrapolation from past Chinese behavior. “An antagonist who stumbles into the arena of combat is different from one who strides into the arena,” writes Holmes, the first holder of the J. C. Wylie Chair of Maritime Strategy at the Naval War College. In this regard, Jim, whom I greatly admire and respect, is certainly correct. China, however, is more than stumbling into the South China Sea. It is using its power to push out others, namely, the United States, which has no South China Sea sovereignty claims, and rival claimants. Beijing may want to “win without fighting” as Holmes suggests, but it cannot win without confronting. Following a referendum vote on sweeping constitutional changes in April 2017, Turkey's government will transition from a parliamentary democracy to an executive presidency after the next presidential election in 2019. The odds of a free and fair election are slim given the measures incumbent President Recep Tayyip Erdogan has taken — and the further measures he will take — to ensure he comes out on top. Though former President Abdullah Gul would be Erdogan's most credible challenger, he is unlikely to run in the next presidential race. Erdogan had a clear answer. In April 2017, Turkey held a referendum that the president had proposed and promoted on a sweeping number of constitutional changes. Among the amendments up for approval was a provision to transition the country's government from a parliamentary democracy, which it had been since the republic's founding in 1923, to what some have called an "executive presidency." The office of prime minister would be abolished under the new system and all executive power transferred to the presidency. The president would also gain the authority to enact laws directly through decree (though parliament would continue legislating), immunity from virtually all forms of judicial oversight and vast powers to appoint judges to much of the judicial hierarchy, including the Constitutional Court and courts of appeal. In what proved to be a highly contentious process of electioneering — the result of which has been disputed — 51 percent of voters narrowly passed the change to Turkey's political system. The new executive presidency model will come into operation for the most part after the next parliamentary and presidential elections, scheduled for 2019. AI is one of the most important things humanity is working on. It is more profound than, I dunno, electricity or fire. Brexit Negotiations Pick Up Speed. The Brexit negotiation is slowly gaining momentum again as the remaining 27 members of the European Union approved a series of guidelines for the upcoming negotiations over the transitional period that will follow Britain's departure from the bloc in March 2019. London will be allowed to remain in the EU single market until December 2020, but it will not participate in EU policymaking. More important, the United Kingdom will be authorized to negotiate free trade agreements with non-EU countries during the transition period (a key part of Britain's post-EU strategy). Negotiations over the transitional period will start next week. Korean Olympics. South Korea's Winter Olympics will begin in Pyeongchang on Feb. 9, marking the start of events that will last through mid-March and showcasing a warming in inter-Korean ties. Expect North Korea to continue its pause in missile testing, but also expect the country to show signs of continued resolve to pursue a nuclear deterrent. The day before the Olympics begin, North Korea will stage a much-talked-about military parade that may feature its intercontinental ballistic missile technology. The key question is not what happens at the Olympics, but what happens after. And with the United States and South Korea giving every sign that they will carry out their joint military drills after the games, this detente has a short shelf-life and will quickly begin to run into the incompatible interests of the various parties. Five years later, I wrote a short opinion piece on the fifth anniversary of 9/11 for the local newspaper. I got my own little headline: “Muslim Teen: We Must Stay Together.” I wrote about the need for us to support one another and our similarities as Americans, which should not be invalidated by our religious beliefs. I wanted so desperately to believe that in five years we had overcome this dark period in our collective memories and come together as a country. In hindsight, that was mostly wishful thinking and naiveté on my part. I also mistakenly wrote that the attacks didn’t directly impact my family and I. However, over the years it became apparent to me that, in one way or another, all Muslims were, and continue to be, either directly or indirectly affected. The group didn’t start out that way. 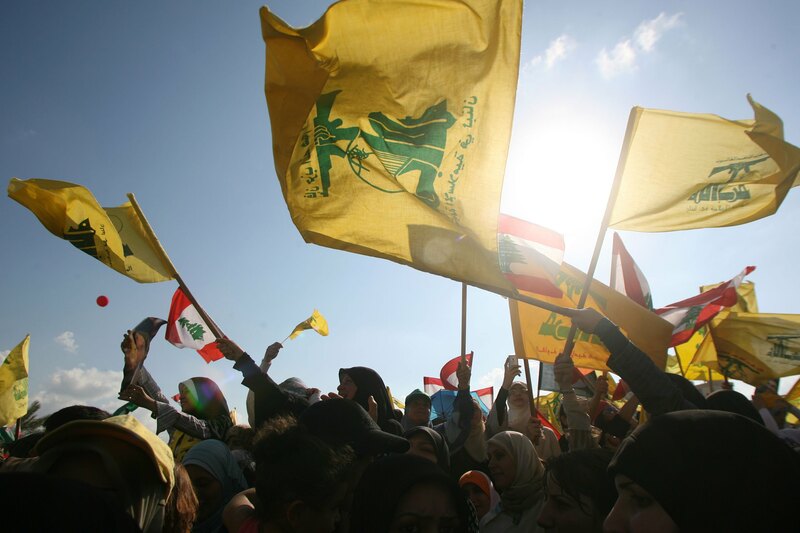 Lebanese Hezbollah is a political party with a military wing, founded in the 1980s to fight Israel when it invaded Beirut. But it became America’s main terrorist target, for a time, when it carried out the 1983 bombings in Beirut that killed 241 Americans and 58 Frenchmen. That earned it the terrorist label, and sanctions that have ebbed and flowed with each American administration’s interest and attention span. The Trump administration has put Lebanese Hezbollah back on center stage, as a vehicle by which to hit nemesis Iran. The waters between Djibouti and Yemen are one of the few places where refugees flow both ways. BAB EL-MANDEB STRAIT, Djibouti — They call it the gate of grief. Bab-el-Mandeb was named — according to an old legend — after those who drowned when the strait cracked opened as an earthquake tore apart the continents of Africa and Asia. All non-African people alive today are thought to derive from the small group — some scientists say no more than 200 intrepid souls — who crossed from Africa here, before spreading to the four corners of the world. The first migrants, the original sparkle. I ask the boat’s pilot to stop right on the line traced between the mountainous Ras Siyyan peninsula in Djibouti and Perim island in Yemen. On the left, the Indian Ocean. On the right, the Red Sea. Time stands still, not a living creature nor the slightest noise to disturb the precious sense of being at the exact point where humanity left Africa to conquer the globe. The Bab-el-Mandeb you read about is made up of lines and dots on a nautical chart: a strategic chokepoint through which passes almost all of the maritime trade between Europe and Asia: every year, about $700 billion in goods, some 25,000 ships, nearly 2 billion barrels of oil. Then there is an underground world, a secret current underneath, populated by pirates and rebels, fishermen, migrants, wild-hearted divers, sailors and everything in between. 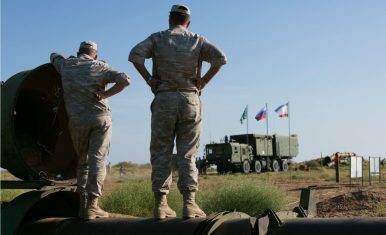 Twenty-five years of relative calm and predictability in relations between Russia and the West enabled European governments largely to neglect their military capabilities for territorial defense and dramatically redraw Northern Europe’s multilateral, regional, and bilateral boundaries, stimulating new institutional and cooperative developments and arrangements. These cooperative patterns of behavior occurred amid a benign security environment, a situation that no longer obtains. Following Russia’s annexation of Crimea, its military incursion into eastern Ukraine, its substantial military modernization efforts, heightened undersea activity in the North Atlantic and Baltic Sea, and its repeated air violations, the region’s security environment has dramatically worsened. The Baltic Sea and North Atlantic region have returned as a geostrategic focal point. It is vital, therefore, that the United States rethink its security approach to the region—what the authors describe as an Enhanced Northern Presence. U.S. President Donald Trump is preparing to deliver his first State of the Union address. The speech, scheduled for Jan. 30, will carry all the usual pomp and ceremony: the flurry of autographs and handshakes as the president enters the U.S. House chamber; the vice president and speaker of the house's awkwardly intense gazes on the president as he gives the address; the contrived anecdotes about special guests in the audience designed to underscore the president's populist image; the opposition party's coordinated acts of protest by refusing to stand and applaud. Political theater aside, however, the president will be addressing his country - and, by extension, the world - in a year in which anxiety over the future of trade and the prospect of great power conflict tempers tepid optimism toward global growth. As an accompaniment to this year's State of the Union address, I'll take a stab at summarizing the State of the World. We find ourselves in an age in which technology is advancing at a relentless pace, and many nations - under mounting economic and social strain - are resorting to desperate measures to try to keep up. The United States is trying to find its footing in the emerging world order. Given the country's outsize influence on the global stage, the transition has been understandably raucous. Yet while the current administration regularly leers at multilateral institutions in prioritizing its interests above those of other nations, the United States is not about to tear down the global trading order or leave long-standing allies in the lurch. Checks and balances will continue to moderate the more sensational impulses of the White House as it tries to crack down on so-called economic predators and demand more of its partners. During times when the country expresses passionate opinions over the politics of the day, I wonder what U.S. adversaries focus on. One thing always in the back of my mind, as a former intelligence correspondent and now publisher of a national-security focused website, is the U.S. power grid. U.S. critical infrastructure systems have been under persistent attack for years. They are the components of our infrastructure that are vital to the way we live: the power grid, the financial system, transportation, medical, industrial manufacturing and election systems. A range of adversaries, most often led by nation-states, never takes time to stop for U.S. political debate. And there is a lot of evidence that their capabilities are increasing. A series of attacks on American banks and energy companies in the Persian Gulf from 2011 to 2013 slowed the websites of companies like Bank of America, JP Morgan, Sun Trust Banks and Capital One. In 2013, hackers used a cellular modem to gain access to a New York dam. They probed the system, but didn’t do anything, which led some experts to believe it may have been a test run. And of course, there was the 2016 hack targeting the computer systems of the Democratic National Committee and attacks that probed some voting equipment. A unanimous IC finding attributed the attacks to Russia. The U.S. government has a troubling history with adopting new technology. While programs like DARPA have laid the groundwork for much of the private sector’s development in the past, most of the government seems to treat technological progress the way a six-year-old treats trips to the dentist: as someone to be avoided as much as humanly possible, and gotten out of the way in a cursory manner when it becomes necessary. Incumbency also reigns beyond the point of reliability: for example, as of 2013, some government departments were still running their servers on 2003 Windows software. This kind of inefficiency is not always so darkly funny, however. It can have massive implications for national security. Whatever one thinks of the furor over Russian hacking, the issue probably would not have the legs it does if the federal government had a reputation for peerless efficiency and impregnability in the cybersphere. Unfortunately, the opposite impression widely exists. Moreover, until recently, Pentagon Acquisition Chief Ellen Lord, was poised to make it worse. Specifically, Lord had plans to hand overstorage of the Defense Department’s virtually entire cyber resources over to a single company. In other words, Lord was preparing to store all the Department of Defense’s “cloud” data on a single company’s servers. This approach should give anyone with interest in our government’s technological security night sweats. Yes, using cloud computing to store data is an advance for the U.S. government and one that would likely have become only more urgent with time. But to just drop all the most significant national security data on one cloud? What? Defense leaders won’t completely rule out the possibility. But it’s a very, very, very remote possibility. The idea that the U.S. is building new low-yield nuclear weapons to respond to a cyber attack is “not true,” military leaders told reporters in the runup to the Friday release of the new Nuclear Posture Review. “The people who say we lowered the threshold for the use of nuclear weapons are saying, ‘but we want these low-yield nuclear weapons so that we can answer a cyber attack because we’re so bad at cyber security.’ That’s just fundamentally not true,” Gen. Paul Selva, vice chairman of the Joints Chiefs of Staff, said Tuesday at a meeting with reporters.